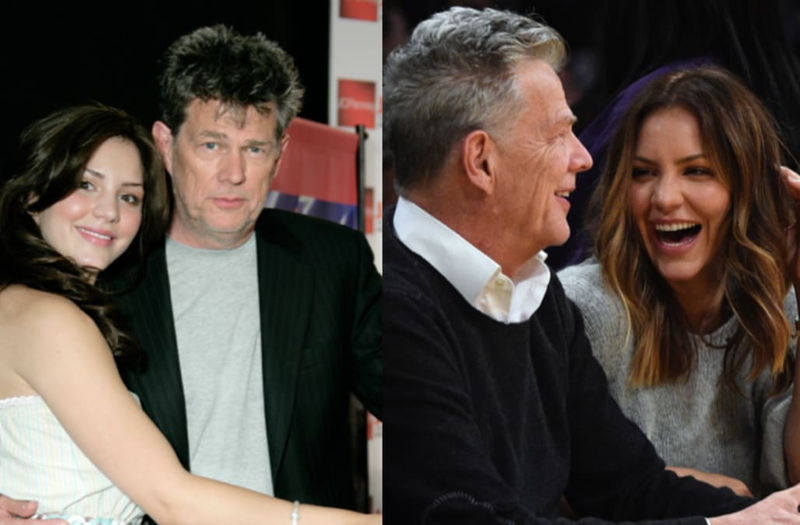 David Foster, 68, and Katharine McPhee, 33, are finally "courtside official." Anytime a celebrity couple sits courtside at a basketball game -- especially when it's the Knicks, Lakers or Heat -- they know they're going to be photographed by paparazzi. Foster and McPhee seemed totally unbothered by the cameras on Sunday as they watched the Lakers take on the Grizzlies at Staples Center. Photos show the duo chatting, giggling and sometimes full-on gleefully laughing through the game. At one point, McPhee seemed almost unable to control her laughter. The two have seemingly intentionally gone public with their romance this year, but they first met more than a decade ago, when Foster mentored McPhee on "American Idol." At the time, he was 57 and she was 22. One of Foster's daughters, Erin, referred to McPhee on social media as her "new step-mom" in September, which raised eyebrows since at 35, she is two years older than McPhee.